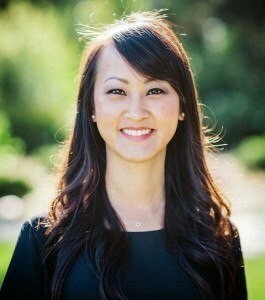 Dr. Mai X. Ly is a graduate of the University Of Southern California, Los Angeles. Dr. Mai furthered her education at Columbia University, New York in the Advanced Education General Dentistry (AEGD) residency. During her residency, she enjoyed exploring the city and the wonderful food, as well as enhancing her training in implantology and cosmetics. She has been practicing general dentistry since graduating from dental school in 2006. Dr. Mai has expanded training in cosmetic dentistry, treatment planning, implant esthetics, and restoration. 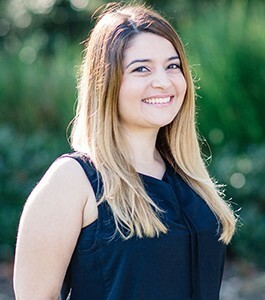 She is a member of the American Dental Association, The Academy of General Dentists, and the California Dental Association, as well as her local dental societies. Dr. Mai enjoys practicing family dentistry and working with patients of all ages. She especially enjoys providing dental care for children. Dr. Mai puts patients at ease with her calm and gentle style of dentistry and keeps her patients very comfortable while she restores their oral health. Dr. Mai is very detail oriented and compassionate. She strives to provide the best quality dental care for all her patients. She enjoys being outdoors, scrapbooking, and crafts. When she’s not working, Dr. Mai loves taking vacations. She loves to be around her family and friends and enjoys what she does. Dr. Khadem, or “Dr. K”, was born and raised in Southern California. She is a graduate of Tufts University School of Dental Medicine. As the new associate in the practice, Dr. K enjoys working alongside Dr. Mai and the team because they truly put the patient’s needs first. Dr. K is dedicated to her patients and treats each of them as if they were her family. Her goal is to meet their needs while making them feel comfortable and at ease. Outside of the office, Dr. K enjoys spending time with her friends and family. She especially enjoys traveling, reading, and watching movies. While attending dental school in Boston, she enjoyed exploring nature and experiencing all four seasons and hopes to visit again soon.